Between 1984 and 1988, 36 shipments of Thiodiglycol (TDG)—a total of 528 tons— left Alcolac International, an industrial chemical plant in Baltimore, en route to the port of Antwerp. The consignment was then transshipped to the port of Aqaba in Jordan and trucked across the desert to Baghdad, where it was transferred to the Muthanna State Establishment, Iraq’s chemical warfare production complex near Samarra. While Thiodiglycol is utilized as a solvent in a variety of applications ranging from textile dye to the ink in ballpoint pens, it is also used in the production of the chemical weapon sulfur mustard, commonly known as mustard gas. Exposure to mustard agents causes permanent alkylation of DNA strands, preventing cellular division ultimately leading to programmed cell death. At 11am on March 16th, 1988, an estimate of twenty aircraft attacked Halabja, a Kurdish city across the Iran-Iraq border. The chemicals dropped by the planes included mustard gas, and the nerve agents sarin, tabun, and VX. The estimated number of civilians killed during the five hour attack ranges from 3,200-5,000, with an additional 7,000-10,000 injured. As many as to 75% of the victims were women and children. Taha Heydari is an Iranian artist born in Tehran in 1986. 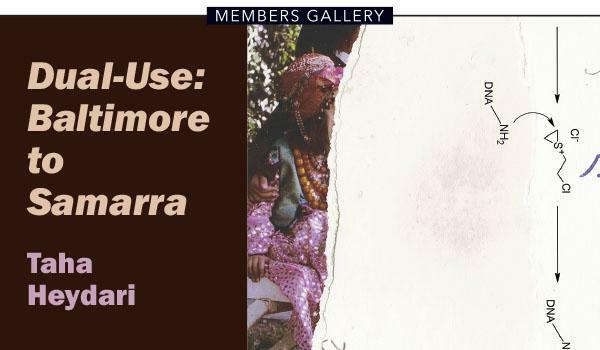 Dual-Use: Baltimore to Samarra, featuring sculpture, large scale assemblage works, found objects, and video, is his first solo exhibition in Baltimore, Maryland. 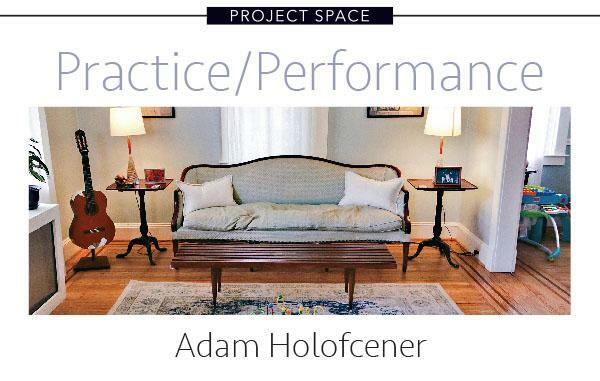 Adam Holofcener, a native of Baltimore, works in many creative disciplines, but likes to think of himself primarily as a sound artist, composer, and performer. By day, Adam serves as director of Maryland Volunteer Lawyers for the Arts (MdVLA). 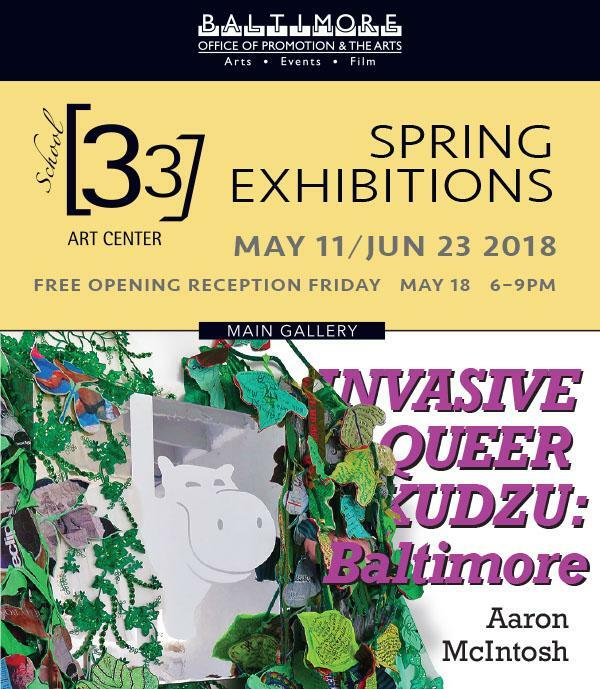 Concurrent with Aaron McIntosh's exhibition, Invasive Queer Kudzu: Baltimore in the Main Gallery. Visitors can contribute their own queer stories or ally messages of support to the growing mass of vines on a monumental tribute to Baltimore's erstwhile Club Hippo, one of the country's oldest gay dance clubs until its closure in 2015. On Saturdays during the exhibition, the artist and various community organizers are hosting Queer Quilting Bees, where the Queer Kudzu story leaves will be quilted in queer and ally community. On June 9, Aaron McIntosh will be giving an artist talk about his practice and the Invasive Queer Kudzu project. All ages and experience levels are welcome to participate in these workshops. Join us for the release of Adam Holofcener's newest tape, Mostly Best Boy Versos (Kunstemporary Records). The compositions on this tape were crafted in conjunction with his installation Practice/Performance, on view in the Project Space. The genre of Mostly Best Boy Versos can loosely be called "experimental country;" existential twang with aleatoric elements. There will be performances by Adam Holofcener and additional acts throughout the night. Join us for Yoga in the Gallery with Amanda Agricola! Relax and stretch among the artworks in our galleries. There is a $5-10 suggested donation, and bring your own mat! Join us for an Artist Talk with Taha Heydari to learn more about the artist and his exhibition in the Members Gallery.